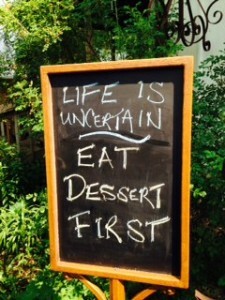 Recently I went to a nearby small town art fair, which was a delightful way to spend a nice Saturday in the summer. While walking down the side walk of this small town, I spotted this sign in front of a restaurant. I loved it because it spoke so much to me about how we all live our lives. When we attend someones funeral everyone is reminiscent over the person who died. We remember their life, if they died young we talk about how unfair it is and if they had a long life we often talk about their accomplishments. But the one thing we all realize at a funeral is that all we have are memories. Yes, I have always said that death teaches us much about life. 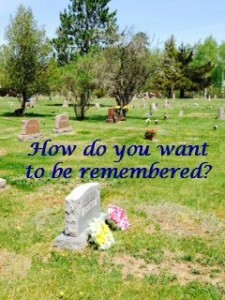 Ask yourself now, how do you want to be remembered? 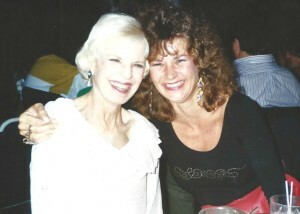 Mom & I in 1993- one of my favorite photos! My Mom died in 2005 and every Mother’s Day since, I still honor her memory by speaking about her to family through retelling stories. And I will admit I talk with her often as I believe she hears me and guides me. Recently I read a post on Facebook that said if you could spend one day with someone from the past who would it be? For me, if would be spending one more day with my Mom.